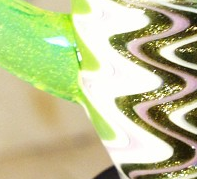 Please use the contact form on my site if you're interested in getting a custom glass piece made. We can work on details/pricing and then you can use this page to add items to the shopping cart totaling the amount of your custom order including shipping. Once you add the total amount you can proceed to checkout. Thanks!